When you think of the Bellator MMA promotion, what fighters come to mind? Is it Michael Chandler, the fighter who has the most title bouts with the organization? 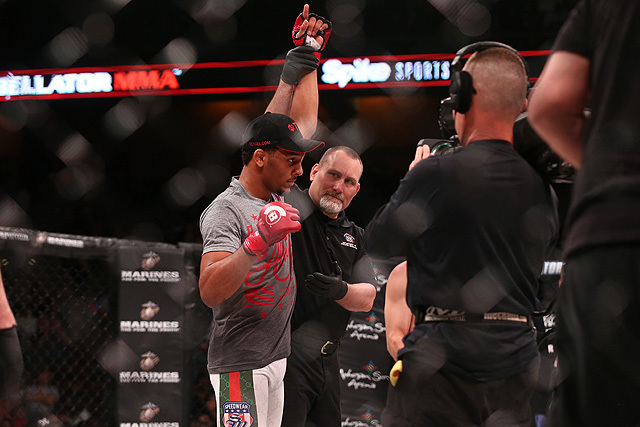 Is it Douglas Lima, the fighter with the most knockouts under the Bellator banner? Perhaps it’s Patricio Freire, the fighter with the most wins in the company? All of these fighters are Bellator mainstays, and names like Chandler and Freire are synonymous with the organization. One thing the Viacom-owned company has done masterfully from day one is to build prospects from the ground up. Case in point, A.J. McKee Jr.
McKee comes from a fighting family. 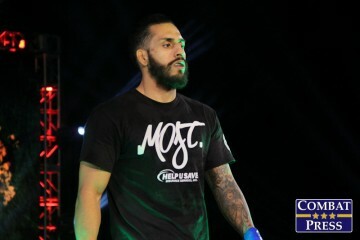 His father, Antonio, had a successful combat-sports career that included stops in the IFL, UFC and World Series of Fighting. Just because a fighter has fighting in their DNA doesn’t guarantee they will be an MMA star. The 22-year-old McKee, who holds an unblemished record of 8-0, sure seems like the real deal, though. When talent and ability mesh just right, then a fighter can reach their potential. With the guidance of his father, McKee has had all the pieces fall into place. 2014 was a transitional year for Bellator MMA. 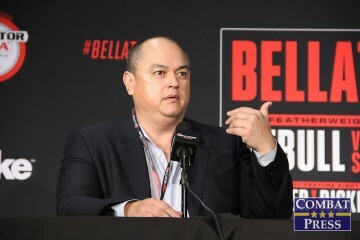 Scott Coker took over as president, replacing the organization’s founder, Bjorn Rebney. It was also the year that Coker signed the then 19-year-old McKee, despite the teenager’s lack of any professional experience. Coker has a history of finding diamonds in the rough going all the way back to the Strikeforce days. Just look at some of those old Strikeforce undercards. Those events hosted guys like Luke Rockhold, Lorenz Larkin and Tyron Woodley. McKee has a long way to go before he can be compared to those guys, but he’s on the right trajectory. Yet, no matter how good a fighter is or how impressive they look, they will always have their doubters. McKee had to learn how to deal with this early on. 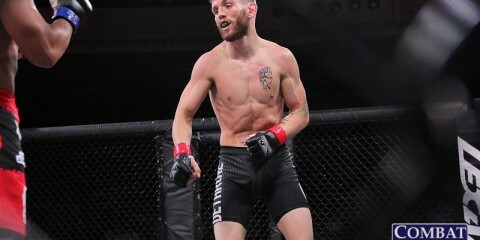 The “Mercenary” won his first four professional fights, all in the first round and all inside the Bellator cage. So, the doubters said, the way to beat McKee was to get him out of the first round. McKee’s next fight went to the second round. The result? He locked in a choke and submitted Cody Walker at just 32 seconds of round two. 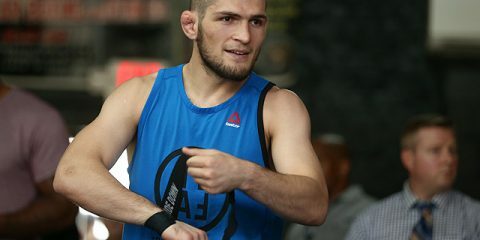 All the doubts were answered in the next two McKee fights. 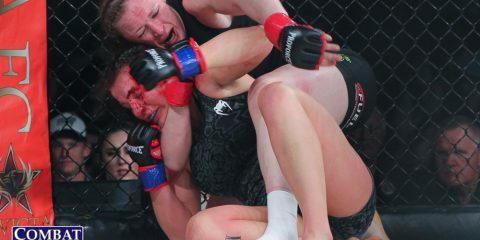 The second-generation fighter went the distance in both fights, taking convincing unanimous decision wins over Ray Wood and Brandon Phillips in the process. Then, he added another stoppage when he knocked out Dominic Mazzotta in just 75 seconds. So, what’s next for this rising star? The short answer to that question is Blair Tugman. 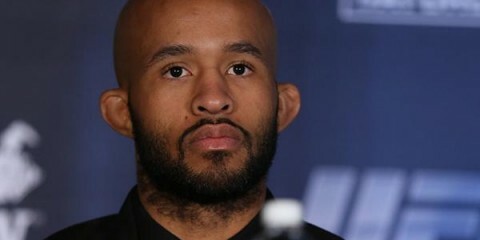 Tugman is now the man tasked with ending the meteoric rise of McKee. The pair meet at Bellator 182 on Aug. 25. The more popular answer to the question, however, is James Gallagher. 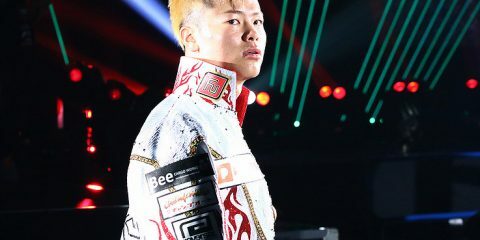 These two impressive young fighters seem destined to clash, just not right now. The 20-year-old Gallagher is another seemingly prescient signing by Coker. 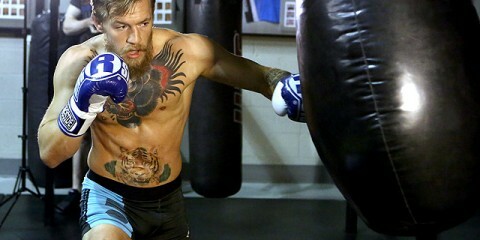 The Irishman tallied three wins in his homeland before Bellator scooped him up. Gallagher has now won four fights with Bellator to move his undefeated record to 7-0. 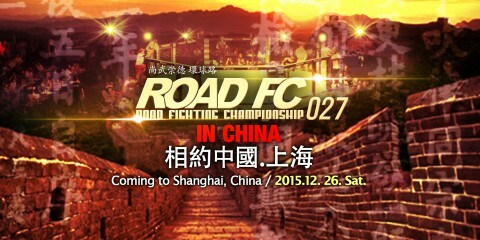 Along the way, he scored first-round submissions of skilled competitors Kirill Medvedovski and Chinzo Machida. If these men continue their climb to the top, then we will see them face off in the next year or two. First, Gallagher has to overcome Jeremiah Labiano at Bellator 186 in November. Meanwhile, McKee takes his next step toward greatness against Tugman at Bellator 182 in just a couple of weeks.